Min Reuchamps is professor of political science at the Université catholique de Louvain. He graduated from the Université de Liège (Belgium) and from Boston University (USA). 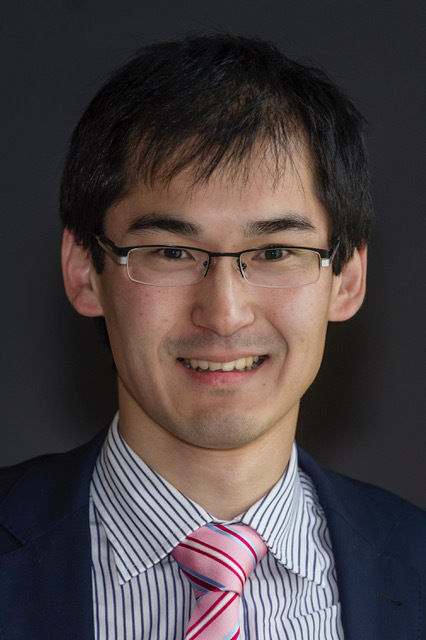 His teaching and research interests are federalism and multi-level governance, democracy and its different dimensions, relations between language(s) and politics and in particular the role of metaphors, as well as participatory and deliberative methods. He has published a dozen books on these topics and his works have appeared in several international journals. With the professors Nathalie Schiffino-Leclercq, Pierre Baudewyns, Ella Hamonic and Vincent Legrand, he has brought into life the MOOC "Découvrir la science politique" (Discovering politican science - Louv3x), on-line course, freely available around the world via the plateform edx.org. This course is one of the finalists of the first-ever edX Prize for Exceptional Contributions in Online Teaching and Learning. He is currently the President of the French-speaking Belgian association for political science (ABSP) and the coordinator of the methodology & research cel of the G1000, a citizens initiative promoting deliberative democracy. The history of Belgium since 1830 shows the progressive transformation of a linguistic dynamic in an identity dynamic through the territorialisation of political tensions and then the federalisation of the State, originally a unitary State. This contribution tells the short story of a long history of stability and instability in Belgium. ‘Of all these (peoples in Gaul), the Belgians are the bravest.’ This quote, generally attributed to Julius Caesar in the 1st century BC, is part of the early socialisation of Belgian pupils, be them Dutch-speaking or French-speaking. Nevertheless, it would be a mistake to believe that the Belgians of the time geographically correspond to those resident in Belgium today. The tribes that covered Belgic Gaul lived in a much wider land than the territory that would eventually become Belgium in 1830. Between these two periods, the components of what was to become Belgium were never unified, even though some parts of the territory had been more or less unified in certain periods under the same ruler (Mabille 2011). After being under Spanish, Austrian and French rule, the territory of (future) Belgium was united by the Treaty of Vienna in 1815 in the United Kingdom of the Netherlands, led at the time by William I. Religious policies – pro-protestant – and linguistic – pro Dutch-speaking – of the latter (Witte and Van Velthoven 2000), soon fuelled a movement of contestation among the inhabitants, mainly the Southern provinces’ bourgeois, leading to their secession in 1830 and to Belgium’s independence, quickly recognised by neighbouring countries and The Netherlands in 1839. Belgium was thus a whole new country (Deschouwer 2012). Even though a double unity – religious and linguistic – had allowed the creation of a new State, it would only be short-lived because both the religious cleavage between the Church and the State and the linguistic cleavage between the Dutch-speaking and the French-speaking communities would ultimately mould the lasting dynamics of Belgium’s politics. If the separation from the Kingdom of the Netherlands had been fuelled by the rejection of King William’s pro-protestant policies, the national union of the first years of independence quickly gave way to the crystallisation of the opposition between those Catholics in favour of a strong relationship between the Church and the State and those Liberals, in favour of a clear separation between the Church and the State (de Coorebyter 2008). This cleavage led to the progressive consocionalisation of society, strengthened at the end of the 19th century by the creation of the Belgian Labour Party, which protected the interests of the working class against the capital holders. The Belgian Labour Party also joined some liberals, supporters of a separation between State and Church, and some Catholics of the catholic workers’ movement. This interweaving of cleavages explains Belgium’s consocionalist nature. Three pillars governed the State – the Catholic, the Socialist and, to a lesser extent, the Liberal. These three pillars co-existed and organised the existence of their members from the cradle to the tombstone. Politically, contacts were limited to the cleavages’ elites who ruled a segmented, peaceful yet divided country (Lijphart 1977). A linguistic cleavage appeared at the same time since the creation of the Belgian State onwards because it was unitary and above all francophone and unilingual. However, since its origins, a Dutch-speaking majority has inhabited Belgium. The first national census, in 1846, indicates that out of a population of 4.3 million, 57% spoke Dutch, 42% spoke French and 1% spoke German (McRae 1983). Nevertheless, the only official language was French, which was the exclusive language in politics, economics and culture. As Deschouwer (2012:30) explains ‘the choice of French as the sole official language of Belgium was an obvious choice for the political elites, but it was a choice for a language that was not spoken by a small majority of the population’. This choice and its consequences for the Dutch-speaking Belgians, who were not allowed to use their mother tongue in any official matter, gave birth to the Flemish movement. This movement, born as a reaction to unilingual Belgium, demanded the recognition of Dutch as the second official language, at least in Flanders. These demands were vigorously rejected by the Belgian elites because they were thought harmful to the development of the Belgian nation, based on French as lingua franca, instead of the Germanic dialects spoken in the North and Walloon dialects spoken in the South. This constant refusal led to the hardening of the Flemish movement, slowly reinforced by the extension of the voting rights (Deschouwer 1999-2000). In the 1870s the first linguistic laws were voted on, which authorised the use of the Dutch language in tribunals and in the administration in Flemish Provinces (Zolberg 1974). Finally, in 1898 the law on equality recognised Dutch as an official language, placing it on the same footing as French, even though the latter was still the dominant language in the country. In 1921, universal – male – suffrage did not modify the supremacy of the Francophone bourgeoisie, despite the increasing power of the Dutch-speaking citizens who became electors. However, the demands of the Flemish movement led to new linguistic laws in the 1920s and the 1930s, and made possible the use of Dutch notably for matters of justice, administration and education. At the same time, the idea of a generalised bilingualism, throughout the whole country, was rejected both by the French- and Dutch-speakers as each preferred to ensure the protection of their own language in their territory (Swenden and Jans 2006). The logic behind these linguistic laws was thus territorial. Depending on the language spoken by the majority of its population, each municipality – the smallest administrative subdivision in Belgium – was included in a unilingual region – Dutch, French or German – with the exception of municipalities in Brussels that were gathered in the only bilingual region. However, Brussels was also the center of the problem. Originally a Dutch-speaking city, it quickly ‘Frenchified’ because of its role as the capital that attracted French-speaking civil servants and elites (Witte and Van Velthoven 2000). It is therefore understandable why this dual issue, both linguistic and territorial, constitutes one of the main foundations of Belgian politics, leading to the federalisation of Belgium with three Communities (Flemish, French and German-speaking) and three Regions (Flemish, merged with the Community, Walloon and of Brussels-Capital). The history of Belgium since 1830, which we quickly overviewed, demonstrates the progressive transformation of a linguistic dynamic in an identity dynamic through the territorialisation of political tensions and then the federalisation of the State, originally a unitary State. The question is: did the federalisation of Belgium alleviate identity-related tensions or did it worsen them? In this country, as in other multinational states, the issue of federalism consists in the cohabitation between the different national groups forming the State. However, it goes beyond simple pacific cohabitation as it is a matter of organising the country to ensure a common participation in power and even a certain form of solidarity while offering a sufficient degree of autonomy to different entities and thus allowing each of them to pursue different goals. In order to explore this question, surveys since 1979 have measured the identities of people living in Flanders and Wallonia (De Winter 2007). These data show that at least one Belgian out of two belongs to Belgium first, and that this feeling is rather stable. In Flanders, the largest Region of the country, we neither find an overwhelming support nor a complete rejection of Belgium. Up until 1982, a majority of Flemings felt Flemish first. As time progressed, they tended to feel more Belgian than Flemish. The most significant fall happened between 1991 and 1995 with a decrease of 15% in the support of Flemish identity. The fact that the State became officially federal did not, in this case, seem to strengthen the feeling of belonging to the Region, but on the contrary, seemed to weaken it. However, it does not mean that there is a transfer of the feeling of belonging to Belgium but rather towards the local level. In Wallonia, even though the results are generally similar, there is a difference of degree. At different moments in time, between two thirds and three quarters of the people living in Wallonia felt Belgian above all. This amounts to a difference of almost 20% with Flanders (De Winter 2007). Moreover, it is interesting to see that unlike the Flemish, and since 1979, Walloons have always felt, above all, Belgian. However, the feeling of belonging to Belgium seems rather stable in both regions, even if the feeling of belonging to the Region/Community in Wallonia, as in Flanders, decreases with time: from 22,9% it went down, in less than 20 years, to 13,9%. In Flanders, it was the local level that saw its support increased, whereas in Wallonia it is the European level that benefits the most. These figures shed light on the dynamics of identity in Belgium. Far from being a marginal phenomenon, it is a crucial aspect in the transformation of the country, still under way (Deschouwer and Reuchamps 2013). However, no survey shows an identity gap between the two major communities in the country, the Flemings and the Francophones. In this regard, it is interesting to note that both electorates have had the same evolution in relation to their feelings of belonging, even if these took place at higher or lower levels. We can find an identity dualism in the country with a – more or less strong, depending on the Region – predominance of the feeling of belonging to Belgium. Hence, it seems that while in the medium term the identity factors contributed to the stability of the Belgian federation, or to be more precise, did not strengthen its instability, they also did not contribute to the unity of Belgium. Yet, identity factors are constantly present in political and media discourses, where an opposition between blocs, strengthened by socio-economic reasons, is often seen (Perrez and Reuchamps 2012). Recent history of Belgian federalism seems to indicate that the political dynamic of this country is rather a fragmentation factor than a unity asset. It is obviously true that the unitary State became federal. But this evolution has always been based on a compromise that satisfies each party. For instance, the Flemish elites decided to merge the Flemish Community with the Flemish Region in a unique entity with one single Parliament and one Government. The Francophone elites, in turn, decided that the French Community (which has become, as mentioned before, the Wallonia-Brussels Federation) will be the – linguistic – link between the French-speakers of Wallonia and of Brussels. These choices reflect different visions of what Belgium should be: for most of the Flemish elites, Belgium should be based on two Communities – the Flemish and the Francophone – and for most of the Francophone elites Belgium should be based on three Regions – Flanders, Wallonia and Brussels. Here appears the paradox of Belgian federalism: the Flemings prefer linguistic ties, given by the Community, but need the Regions to ensure clear boundaries and obtain more autonomy, whereas the Francophones prefer a regional vision in order to recognise Brussels as a fully-fledged Region, but need the French Community in order to link Brussels and Wallonia. In sum, we see here that political dynamics are largely driven by different or even opposed visions (which were the cause and the consequence of the Belgian party system’s record fragmentation, of the end of the national parties, and of the centrifugal competition between the Flemish party system and the Francophone one), but that it had, until the present day, always been possible to accommodate them. But this is of course not the end of the story. DE COOREBYTER, V. 2008. Clivages et partis en Belgique. Courrier hebdomadaire du CRISP. DE WINTER, L. 2007. La recherche sur les identités ethno-territoriales en Belgique. Revue internationale de politique comparée, 144, 575-595. DESCHOUWER, K. 1999-2000. Comprendre le nationalisme flamand. Fédéralisme Régionalisme, 1. DESCHOUWER, K. 2012. The Politics of Belgium: Governing a Divided Society, Houndmills, Palgrave Macmillan. DESCHOUWER, K. & REUCHAMPS, M. 2013. The Belgian Federation at a Crossroad. Regional & Federal Studies, 23, 261-270. LIJPHART, A. 1977. Democracy in Plural Societies: A Comparative Exploration, New Haven, Yale University Press. MABILLE, X. 2011. Nouvelle histoire politique de la Belgique, Bruxelles, CRISP. MCRAE, K. D. 1983. Conflict and Compromise in Multilingual Societies. Volume 2, Belgium, Waterloo, Wilfrid Laurier University Press. PERREZ, J. & REUCHAMPS, M. (eds.) 2012. Les relations communautaires en Belgique : Approches politiques et linguistiques, Louvain-la-Neuve: Academia-L’Harmattan. SWENDEN, W. & JANS, M. T. 2006. 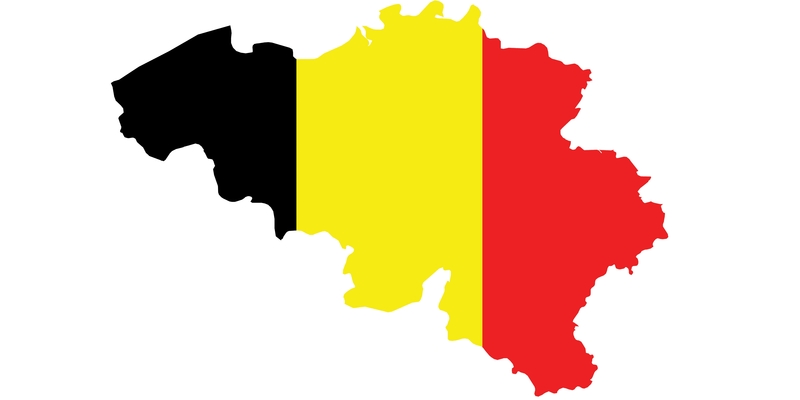 ‘Will it stay or will it go?’ Federalism and the sustainability of Belgium. West European Politics, 29, 877-894. WITTE, E. & VAN VELTHOVEN, H. 2000. Language and Politics. The Situation in Belgium in a Historical Perspective, Brussels, VUB Press. ZOLBERG, A. R. 1974. The Making of Flemings and Walloons: Belgium: 1830-1914. Journal of Interdisciplinary History, 5, 179-235. Deschouwer, K. (2012). The Politics of Belgium: Governing a Divided Society (2nd ed.). Houndmills: Palgrave Macmillan. Reuchamps, M. (2013). The Current Challenges on the Belgian Federalism and the Sixth Reform of the State. In A. López-Basaguren & L. Escajedo San-Epifanio (Eds. ), The Ways of Federalism in Western Countries and the Horizons of Territorial Autonomy in Spain (pp. 375-392). Heidelberg: Springer. Swenden, W., Brans, M., & De Winter, L. (Eds.). (2009). The politics of Belgium: Institutions and policy under bipolar and centrifugal federalism. London: Routledge.